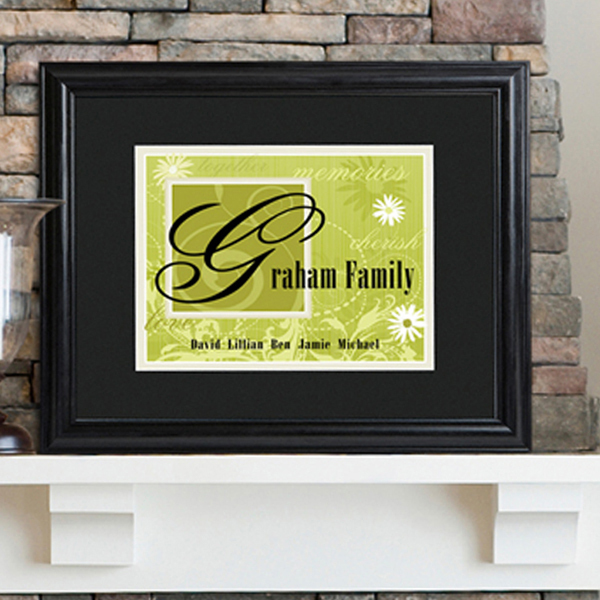 * It's all about "family" with our personalized Family Name Sign, an ideal housewarming present or holiday gift for any loving family. 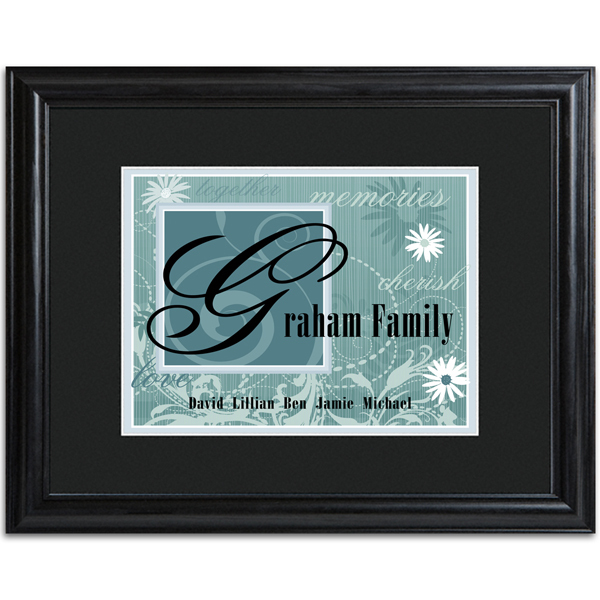 * This high-quality print, framed in black, features a fresh floral background and tender words of love in an attractive script font. * The recipient's surname is front and center, the first letter in a handsome traditional script. * Additional personalization can include names of family members, a favorite verse, or a custom message. * Includes a custom black, beveled 23" x 19" wood frame and 3" mat with acrylic front. * Print measures 13 3/4" x 11 3/4". 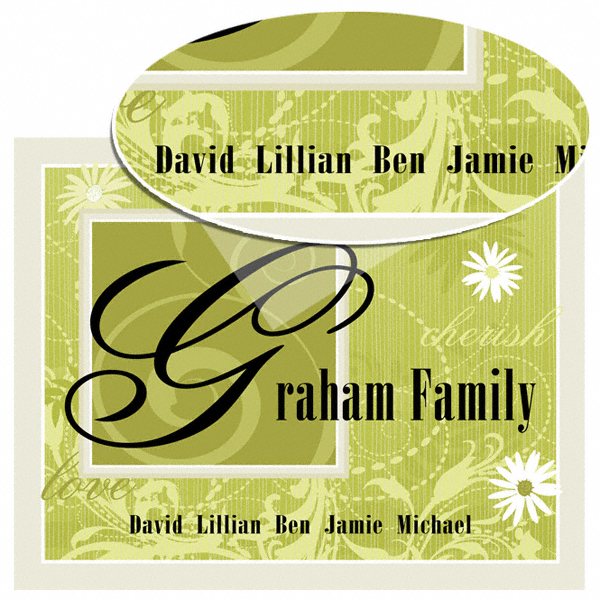 * Select print color and personalize family name with up to 20 characters and bottom line with up to 60 characters.